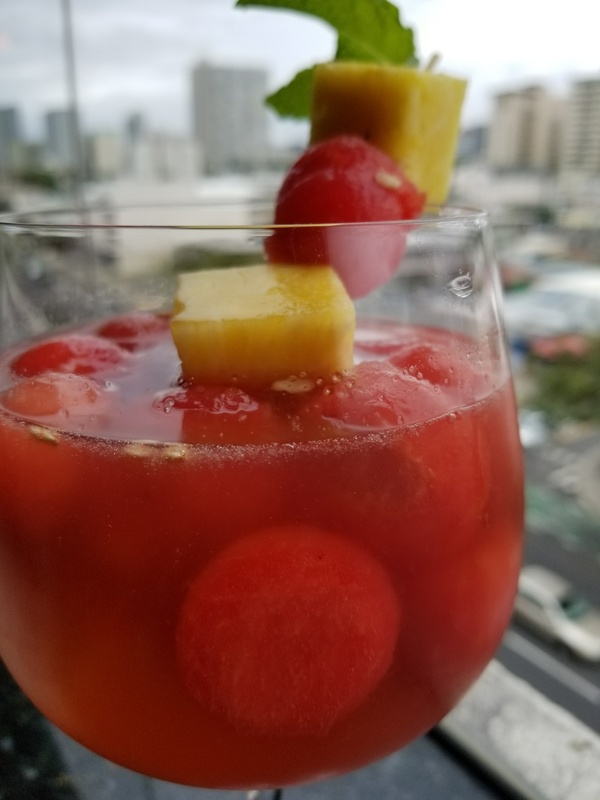 How To Make Our Pau Hana Traffic Sangria! We love Pau Hana Traffic! But only if it's in the form of a cool, refreshing beverage. This is the final cocktail from our Connisseur's Cruise that we will be featuring from our bar. Created during a Cocktail Development session on-board Crystal's Symphony with Mark Shishido, our travel mates made their version of this drink, and Mark brought it back to the restaurant for everyone to try. What better way to beat the heat and humidity than with glass of Sangria with friends? 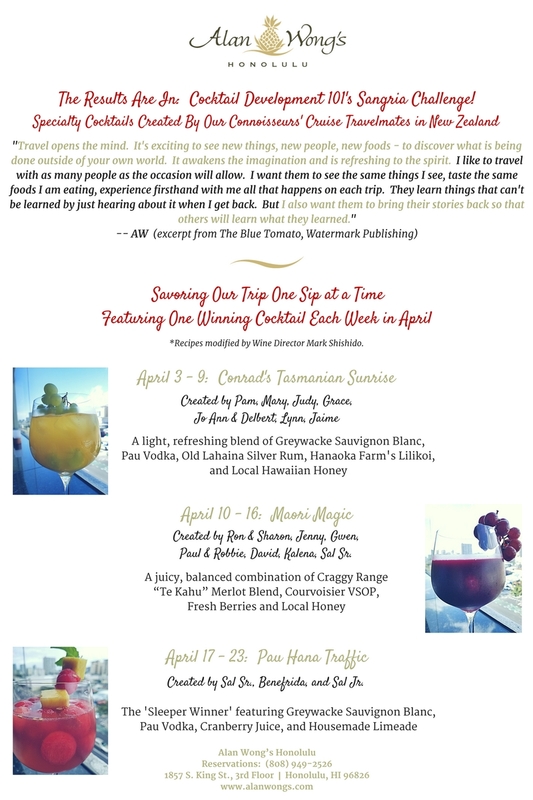 It's the perfect way to Pau Hana! 1. Add all the liquid ingredients except the ginger ale into a mixing glass. 2. Mix all the ingredients well with a bar spoon to ensure that the honey is dissolved. 3. Fill your glass with melon balls and cubed ice. 4. Pour the sangria mixture over the ice and add the ginger ale. 5. Stir lightly with a bar spoon. 6. Garnish with pineapple cubes and mint spring.